Whether you’re stone-hopping at the Giant’s Causeway or rocking out to live music in a Belfast pub, Northern Ireland’s got the beat to keep you grooving. While most vacationers to the island of Ireland automatically head for the Republic of Ireland, Northern Ireland definitely merits a visit. 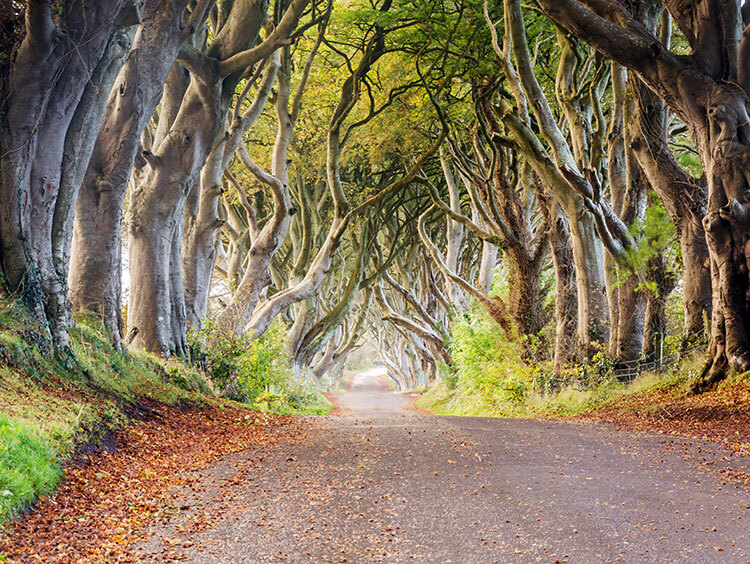 Home to interesting ancient sites, lovely manor homes and some of the island's most beautiful scenery, Northern Ireland is easy to combine with Ireland or Scotland. It's tempting to neglect Northern Ireland's cultural attractions simply because of its out-of-this-world scenery. Admittedly a pretty small country (about the size of Connecticut), it still has produced some cultural giants including C. S. Lewis, Kenneth Branagh, Van Morrison, Liam Neeson, Ciaran Hinds and Nobel-Prize-winning writer, Seamus Heaney. The culture of today's Northern Ireland very much reflects the melting pot of its citizens and backgrounds: Catholic and Protestant; Irish, Scottish, English and Welsh, rich and poor. While English is the most commonly-spoken language, if traveling to Northern Ireland you might also hear bits of the other two officially-recognized languages: Irish and Ulster Scots. If you're interested in learning about the Irish culture and language in Northern Ireland, check out the Culturlann Macadam O Flaich center on the Falls Road in Belfast. While Northern Ireland chose to remain part of the United Kingdom instead of joining the rest of the island to become independent, it is largely self-governing and manages some political issues with the United Kingdom in London and others with the Republic of Ireland in Dublin. People from Northern Ireland can also individually choose to have a British passport or an Irish one. And interestingly, with the majority of professional sports the Northern Irish play in the same leagues with players from the rest of Ireland. A fantastic cultural attraction in Northern Ireland to see is Belfast's new Titanic Experience. At the time of the ship's construction, Belfast was one of the most important shipyards in the world. This extremely interactive museum takes you through the Titanic's history: from its inception to its doomed maiden voyage in 1912. While in Belfast, we also recommend checking out the very interesting Ulster Museum. Many on vacation in Northern Ireland also choose to tour the historic Belleek Pottery Visitor Centre. This porcelain company originated at the end of the 19th century and is based in County Fermanagh. As with many other cultural aspects, Northern Ireland's cuisine contains both traditional Irish and British influences. There is still a strong tradition of baking, family farms, butchery and cheese production in Northern Ireland, and the base of many traditional dishes is (you guessed it!) potatoes and bread. "The Ulster Fry" is the quintessential breakfast meal that everyone must try at least once when visiting Northern Ireland. Other popular dishes include "champ" (butter and scallion-flavored mashed potatoes), vegetable rolls, boxty potato cakes, pasties (patties made of sausage, onion and mashed potato), steak & Guinness pie, Irish stew, and soda bread (made with buttermilk). It's not all bread and potatoes though. Those traveling to Belfast will find an ever-improving restaurant scene with restaurants that also serve modern, innovative Irish dishes as well as international cuisine. Visitors to Northern Ireland interested in wetting their whistle have some world-class breweries and whiskey distilleries at their fingertips including the Old Bushmills Distillery, the Hilden Brewery (both in County Antrim), the Whitewater Brewing Company in County Down, and the Armagh Cider Company in County Armagh. 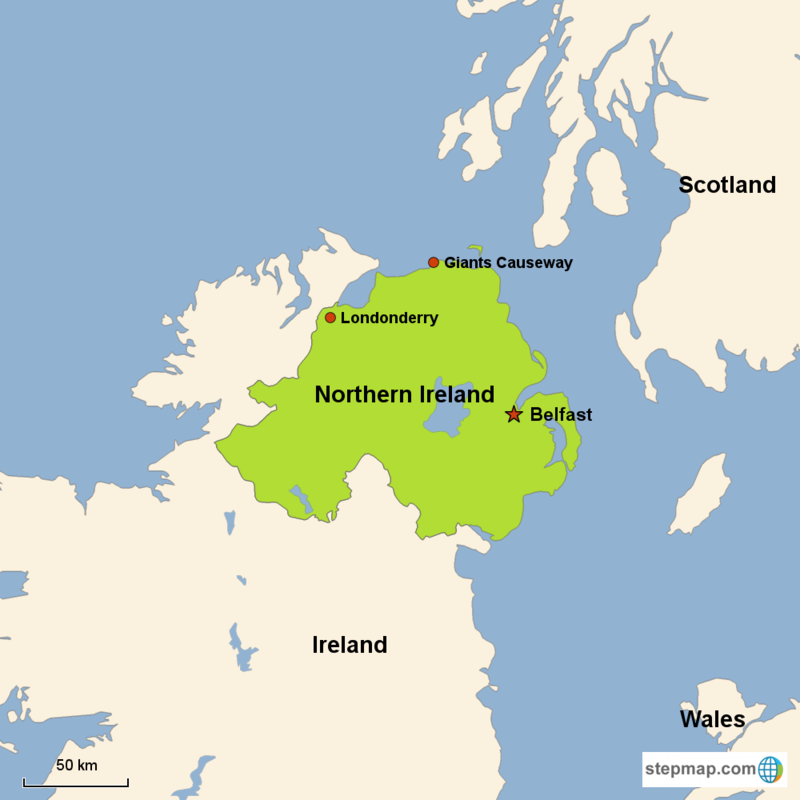 Northern Ireland accounts for about 1/6 of the island of Ireland. It only came into existence in 1921 at the conclusion of the Irish War for Independence when its six counties voted to remain part of the United Kingdom. Sometimes Northern Ireland is called a "country" in the United Kingdom (as is the case with England, Scotland and Wales), while other times it is referred to as a "province" or "region." Its only land neighbor is the Republic of Ireland, and it is located only a short distance by boat from Scotland. Small it may be, but Northern Ireland is home to some of the most beautiful landscapes in all of Ireland! And the fact that it isn't as popular of a tourist destination as its southern neighbor means that when traveling to Northern Ireland, you're likely to have those beautiful, postcard views all to yourself. Northern Ireland is home to the only UNESCO World Heritage Natural site on the entire island of Ireland: the Giant's Causeway. This volcanic-produced, coastal site is a natural wonder along the 60-miles-long Antrim Coast, a route that offers travelers such incredible vistas of dramatic cliffs, pretty villages and valleys that it is considered one of the most scenic drives in all of Ireland (or England, Scotland or Wales for that matter). Other beautiful spots to visit in Ireland include Lough Neagh (the largest lake in Ireland), the Mourne Mountains, Glenariff Forest Park and the verdant countryside of County Armagh. And if you're an avid gardener, Northern Ireland is also home to truly superb gardens including the Mount Stewart House & Gardens and the Rowallane Garden. It is difficult to separate the histories of Northern Ireland (of the United Kingdom) and the Republic of Ireland, as the island of Ireland comprises both nations – and because until 1922 they were not separate countries. For this reason, this section below contains general information about Irish history with an emphasis on historic sightseeing that can be seen while on vacation in Northern Ireland. Ireland has an incredibly interesting history that dates back 9000 years ago to its first settlers: stone-age peoples who sailed west from Britain to the island of Ireland. For vacationers wanting to experience the creme de la creme of prehistory, Ireland is a wonderland of both Mesolithic and Neolithic sites. Amazing prehistoric sites to consider visiting in Northern Ireland include the 9000-year-old Mesolithic site at Mountsandel Wood (near Coleraine), the Beaghmore stone circles in County Tyrone, and Lough Erne in County Fermanagh whose shores and islands are rife with burial sites and mysterious statues. Interesting historic sites relating to Celtic Ireland, which developed after several waves of invasions by Celtic tribes, include the Navan Fort in County Antrim; it is believed that this ancient monument was constructed over 2000 years ago and was the royal seat for the King of Ulster. After the collapse of the Roman Empire, which never managed to conquer Ireland, most of Europe fell into the Dark Ages; Ireland was the exception. The 5th century saw the arrival of Saint Patrick to Ireland, who after a period of captivity returned to Ireland as a Christian missionary. Today, Downpatrick in County Down is home to the St. Patrick Heritage Centre; this very interesting museum is easily visited when driving from Dublin to Belfast. As the Irish population became Christianized, Ireland's early Middle Ages was a period of great monastic learning and enlightenment. Its monasteries and abbeys preserved many ancient texts and spread the influence of Insular art; the monks' reputation as great scholars extended throughout all of Europe. (There is a very interesting book on this era called How the Irish Saved Civilization by Thomas Cahill). Visitors today can still see evidence of this fascinating period of Irish history. One of the finest examples can be found inside The Book of Armagh; this 9th-century, painstakingly-illustrated manuscript contains much of The New Testament and can be found inside the Old Library of Trinity College in Dublin along with The Book of Kells. Visiting the ruins of Northern Ireland's wonderful early-Christian monasteries also opens a door into the soul of Ireland; in Northern Ireland we recommend visiting Devenish Island, Nendrum, Inch Abbey and Grey Abbey on the Ards Peninsula. Politically, the early Middle Ages in Ireland was an era of small, fragmented kingdoms led by minor kings who were (somewhat) ruled by the High Kings of Ireland. Viking invaders arrived soon after, establishing large port towns like Dublin, Cork, Limerick and Waterford, and by the end of the 12th century, the Normans (already in power in England and in much of France) invaded Ireland – with the Pope's blessing. Their Anglo-Norman lords then began establishing cathedrals and large castles unlike anything ever seen in Ireland prior; Carrickfergus Castle in County Antrim is one such Northern Irish castle. Keep in mind however that while the (Norman) kings of England controlled this very feudal Ireland for almost 400 years, their lords never fully conquered the entire island. And while they (along with the Irish nobility) began to build fortified towns and castles, many Celtic clans still held their own territories – and many of the local Irish lived in farming communities far from large towns, which allowed them to preserve their own legal system, customs, and language. Great Northern Irish castles to visit from this era include Greencastle and Dundrum Castle (both in County Down) as well as the ruins of the coastal Dunluce Castle, which are rumored to be the inspiration for Cair Paravel in C.S. Lewis' Chronicles of Narnia. It's also important to note that the English crown largely kept out of Irish affairs during this period as it was busy fighting in the Hundred Years' War followed by the War of the Roses. This all changed with the emergence of the Tudor dynasty in the 16th century. Concern with rebellions and the self-rule of the Irish lords prompted England's King Henry VIII of the Tudor dynasty to tighten his grip over the island of Ireland. This was a time of great change in Ireland (really throughout all of Europe as the Protestant Reformation was in full swing). During this period Henry changed his title from "Lord of Ireland" to "King of Ireland." He permanently severed England's ties with the Roman Catholic Church, made himself head of the newly-created Church of England, and began taking possession of Ireland's monasteries, abbeys and convents. Under the Tudor's rule, England, Wales and Scotland all effectively become Protestant and Ireland's Catholic population was repeatedly discriminated against. Many Northern-Irish families belonging to Ireland's ancient Celtic aristocracy fled to mainland Europe (The Flight of the Earls in 1607), and for roughly the next 200 years, the English crown "colonized" what it considered a wild and unruly Ireland. Known as the Plantations of Ireland, many Irish landowners had their land confiscated in primarily Ulster (the north) and Munster (southwest), and the land was then given to Protestant settlers from England, Scotland and Wales. These new settlers came from all walks of life: aristocrats, merchants, soldiers, workers and artisans. There are still many beautiful "planter," plantation homes from this era as well as other manor houses in Northern Ireland. Many are open to the public and have gorgeous estates. Several good options to consider include the 17th-century Springhill House in County Derry, the 18th-century Castle Ward in County Down, the 18th-century Florence Court in County Fermanagh, and the 19th-century Argory in County Tyrone. Due to powers and privileges reserved for Protestant citizens only, by the 17th century (and largely until the 20th century) an Anglican-Protestant minority socially, politically and financially dominated the Irish Catholic majority (as well as converted Irish Protestants, non-Anglican Protestant faiths, and Ireland's Jewish population). These three centuries became a period of reforms, rebellions, repressions and strife in Ireland. Due to the 19th-century Great Famine, the country lost roughly a quarter of its population as one million died and another million emigrated (many to the United States and Canada – the Ulster American Folk Park in County Tyrone gives visitors a glimpse into Ireland's history of emigration). These religious, political and economic policies laid the foundation of the Catholic-versus-Protestant warring that plagued Ireland for much of the 20th century. Catholics identified as Irish nationalists, while Protestants – who felt connected to their Scottish, English and Welsh ancestry – considered themselves unionists and loyal to the British Crown. This is largely the reason that the island of Ireland today is divided between the Republic of Ireland and Northern Ireland. At the turn of the 19th century, Ireland officially became part of the United Kingdom. The North (and Belfast in particular) developed and became industrialized. It prospered in exportation, textile production and shipbuilding. (The ill-fated Titanic was built in Belfast). 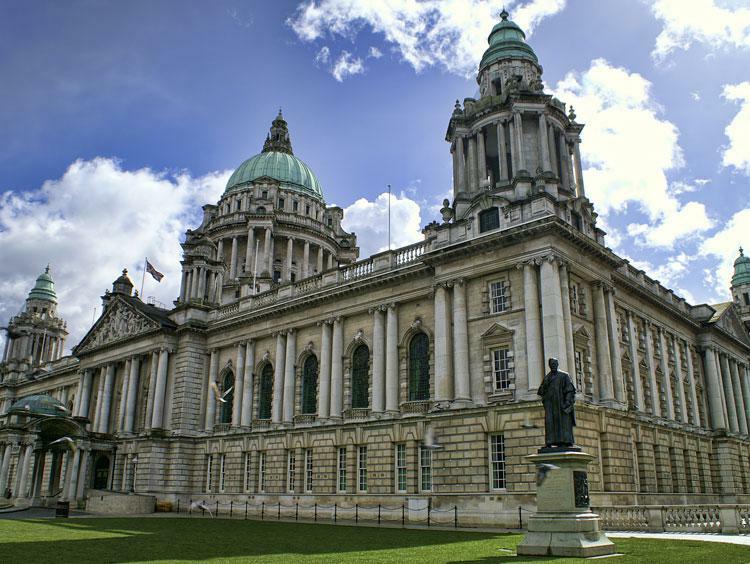 Belfast's architecture benefited from this economic boom, and many of the best monuments to see in Northern Ireland's capital city today hail from this era including City Hall, Belfast Castle, Queen's University Belfast and the Albert Memorial Clock. Meanwhile throughout Ireland, Irish nationalism and separatism grew steadily, leading up to the start of the First World War. In 1919 an Irish Republic was declared, signaling the start of the Irish War of Independence. The peace treaty that ensued after two and a half years of fighting effectively divided Ireland. An Irish Civil War immediately followed because of disagreements over the outcome of the war for independence. This was because the new free state was still technically part of The British Empire and because the six counties of Ireland's northeast voted to not be part of the new state. (Ulster's Protestant population for years had feared the concept of an Irish Free State, and they fiercely wanted to remain united with the British). After the Irish Civil War, although Northern Ireland remained part of the United Kingdom, it was largely autonomous. Continued violence in the North created a sense of fear in the overall Northern-Irish population, and many Catholics chose to leave Ulster. Gerrymandering and other discriminatory tactics against the Catholics in Northern Ireland culminated in the 1960s with the start of a 30-year period known as The Troubles; this violent era in Irish history did not end until the Good Friday Agreement was reached in 1998. You can learn more about The Troubles just by taking a walk through some of Belfast's streets to see some of the political murals that still adorn the neighborhoods. Try the Catholic Falls Road and the Protestant Shankill Road. (Don't worry; they're both popular tourist attractions in Belfast these days and are quite safe). A great walking tour concerning this era is given in the Northern Irish city of Derry (also called Londonderry). It deals specifically with the 1972 "Bloody Sunday" massacre that took place during a non-violent civil rights march.